When Cihan Baysal starts each workday, he draws on his many years of business experience and his energetic work ethic to provide focused assistance to both buyers and sellers. While most agents specialize in either commercial or residential real estate, Cihan’s expertise encompasses every type of the field from land development to newly built homes and existing homes and commercial real estate including retail locations and warehouses. He is equally comfortable selling a house in Virginia, Maryland and Washington, D.C. as he is negotiating the sale of a retail site in those locations. Cihan’s business philosophy is that if you work hard for all your clients, they will naturally refer you to their friends and family. Cihan became a real estate agent when he realized that his experience in other businesses could help other people build financial success. His reputation as a strong negotiator grew during his years working in finance and managing a food business and a service business, while his 15 years in customer service taught him the importance of listening to people and responding to their needs. Cihan’s friends enjoy his sense of fun along with the same characteristics that his client’s appreciate: his commitment, his caring personality and his keen ears for listening. In the rare moments when he’s not working, Cihan enjoys spending time with his wife and children at his home in Fairfax, Virginia. He also likes to read about the latest technology and to share his knowledge with others in his community. 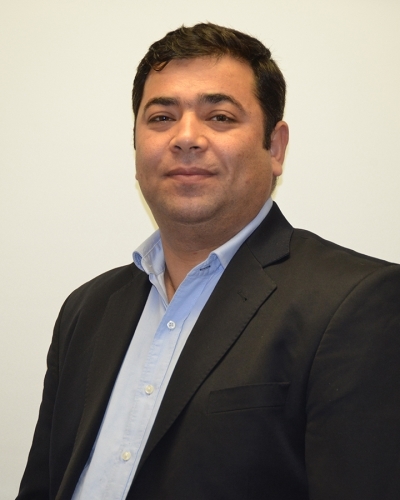 "We had an amazing and stress free home selling experience with Cihan. Even though due to my busy schedule I had very limited time to focus on my house, Cihan was able to get two offer for me within 3 weeks of time period. My house in Bristow VA was sold last Friday. Thank you Cihan for selling my house!!!"